Repairing material deficiencies takes more than mere skill. You also need the right equipment. Finding affordable garage door repair parts without sacrificing quality is one of the hardest aspects of restoring your property to its former glory. 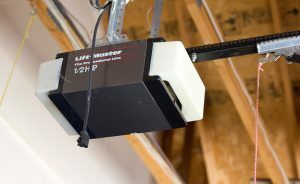 To complete your garage door opener repair in Vancouver, you’ll require not only expert assistance but also reliable parts that don’t drain your household emergency fund. Contacting a Door Aid specialist at 778-650-0400 is the best way to improve your garage’s integrity and utility. Garage doors and openers include hundreds of individual components. The failure of any one of these could spell serious trouble. Panels, springs, hinges, hydraulics, rollers and electronic openers all play important roles in allowing your door to resist incursion and move easily when you need it to. 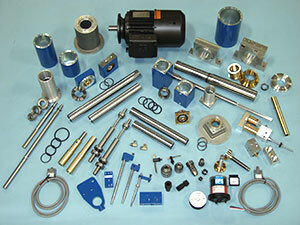 Garage door repair parts must meet extremely high standards. These devices undergo significant physical stresses, weather extremes and countless usage cycles. Fortunately, Door Aid specializes in robust components that have been engineered to outlast the abuse that Vancouver’s citizens put them through on a daily basis. Our primary goal as Vancouver’s premier supplier of garage door opener parts is to help you complete vital repairs more economically. Why spend exorbitant sums for a repair just because it involves a rare component when you can leverage our well-stocked warehouse and established relationships with the world’s most dependable manufacturers instead? With our quality components, your garage door opener repair in Vancouver will actually be worth what you pay for it. By exclusively stocking components that live up to our own exacting standards, we’re able to ensure that your doors last longer and cost less to maintain. Call Door Aid now to minimize your ongoing upkeep expenses, or reach out online for help making a tricky repair less challenging.